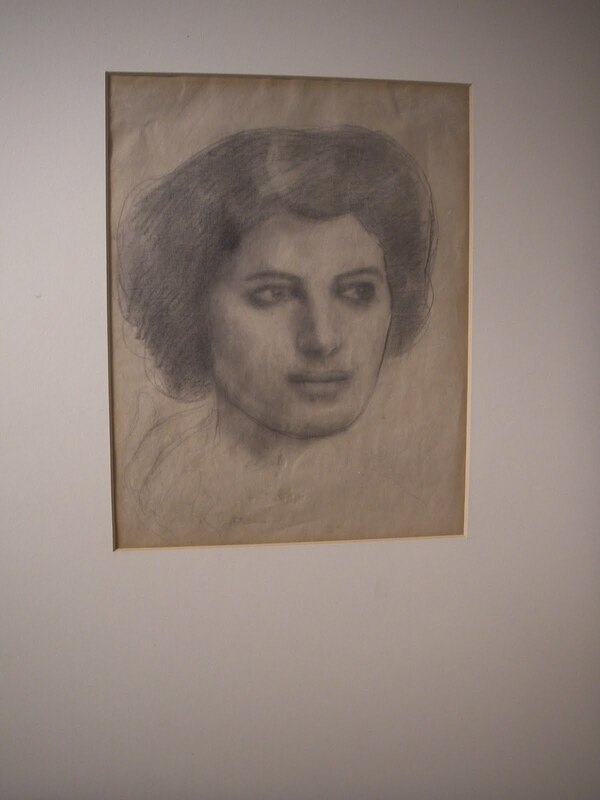 May Ziadeh (Marie Elias Ziadeh, born in Nazareth, Palestine in 1886, died in Cairo in 1941) was one of the key figures of the Nahda in the early 20th-century Arab literary scene, and is known for being one of the early Palestinian feminists. Ziadeh was born in Palestine to a Lebanese father and a Palestinian mother, and moved to Egypt where she wrote for Arab newspapers and periodicals. Her poetry and essays were pioneering, she wrote numerous articles and editorials and was noticed for her translation efforts and intiatives concerning English, German, and French novels of the peirod. Shortly after the Russian Revolution, she raised the issue of socialism and other political ideologies of the day in a series of articles. In 1921, she convened a conference under the heading “The goal of life”, where she called upon Arab women to aspire toward freedom, and to be open to the Occident without forgetting their Oriental identity. Ziadeh also wrote sensitive biographical studies of three pioneer women writers and poets, Warda al-Yaziji, A’isha Taymur, and Bahithat al-Badiya. She was perhaps best-known for hosting a Tuesday salon, which remained active for approximately 20 years (1911-1931), during which time May’s house, where it was held, was the pole to which the greatest writers and intellectuals of the age were drawn. „ If May’s, in comparison to other women of her time, nearly unprecedented literary, journalistic and rhetorical efforts to find public recognition, can be seen as a steady search for social integration, the founding of her salon appears to be the logical culmination of these efforts. Open to men and women of varied religious, national and social background, this salon contrasts with the other famous Egyptian salon of the period, the politically influenced salon of Princess Nazli Abu Fadil, exclusively visited by men. 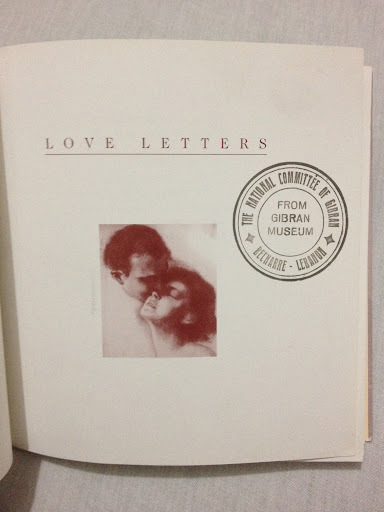 Very well known but still mysterious in its nature is her correspondence with Khalil Gibran (who lived in New York), which extended over two decades, though the two never met. Ziadeh became one of the most prolific writers of the new genre of ‘shi’r manthur’, prose poetry or poetic prose. Her reputation as a critic also grew first of all in connection with Khalil Gibran, whose works she helped make famous in the Arab world with her articles. Ziadeh never married. At the end of 1920s, she suffered a series of personal losses, beginning with the death of her parents, her friends, and Khalil Gibran. She fell into a deep depression and returned to Lebanon where her relatives placed her in a psychiatric hospital to gain control over her estate. She eventually recovered and returned to Cairo where she died. 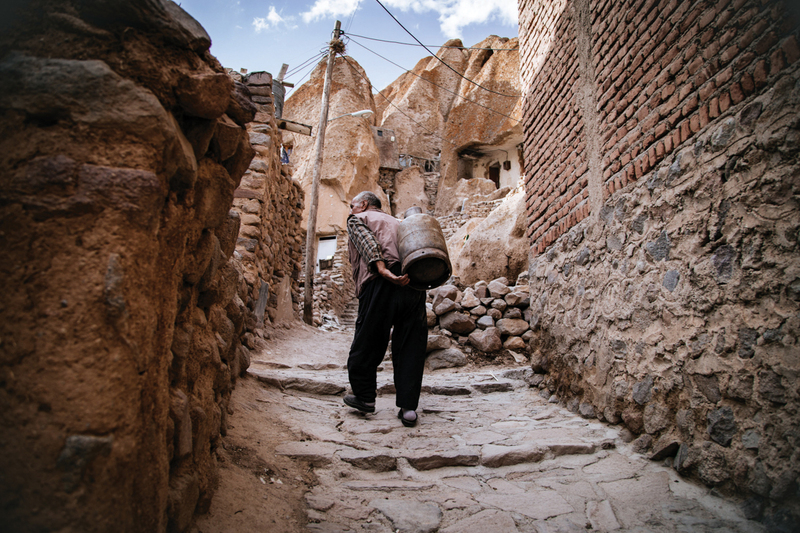 She left more than 15 books of poetry, literature and translations. I believe none of her works are available in English, unfortunately. 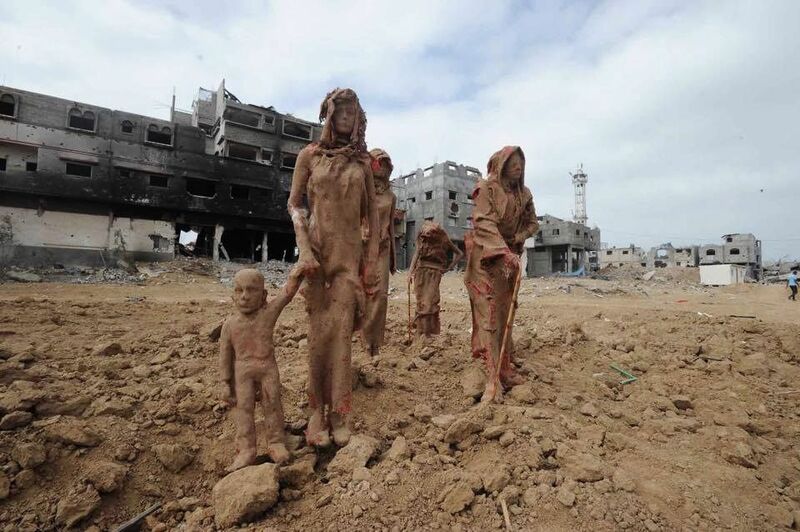 Iyad Ramadan Sabbah is a Palestinian artist, famous for his sculptures and installations that are very artistic and beautiful, but also political and almost always related to Palestinian issue(s). 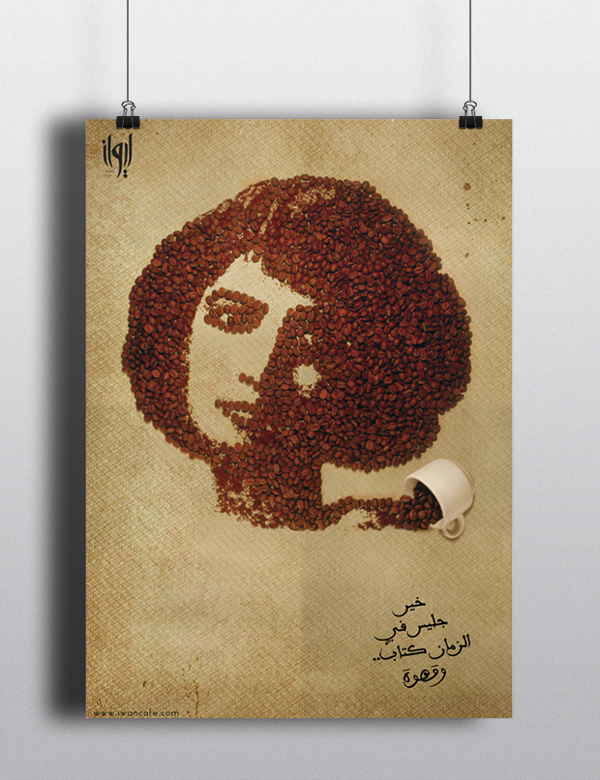 Palestine is all over his artwork, but Sabbah has no issues with that. 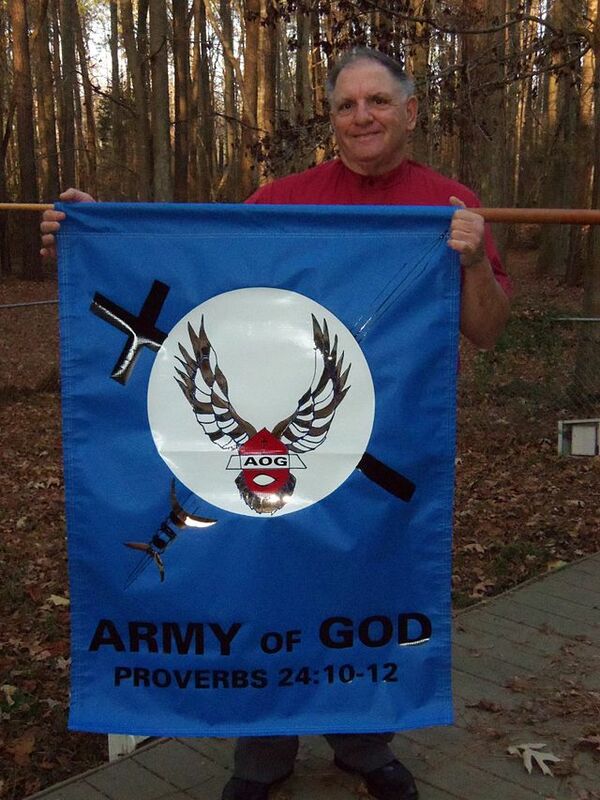 He uses his art to show the suffering of his people. 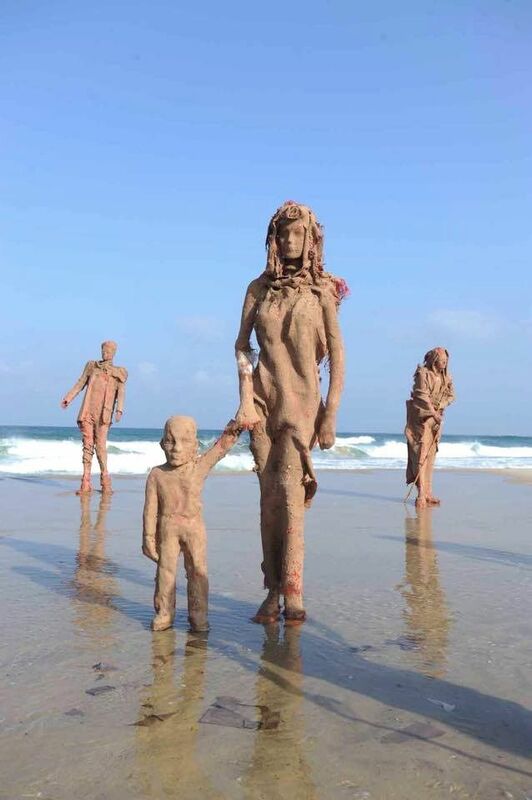 In his latest artwork, Sabbah displayed clay figures on Gaza beach depicting people fleeing their homes, as part of a contemporary art project portraying the recent Israeli onslaught on Gaza. 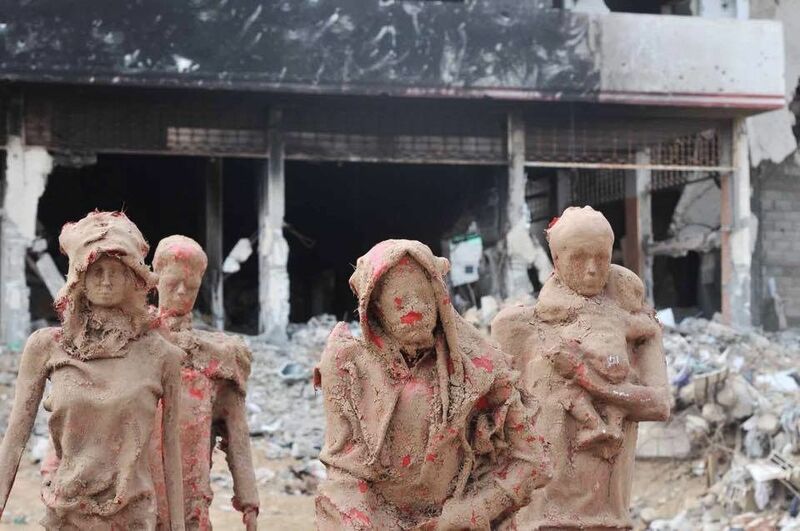 The exhibition, called Tahaluk (Worn Out) is meant to show the horrors Palestinians faced in the Shuja’iyya neighborhood of Gaza city. Sabbah said he wanted to represent the psychological impact of war and commemorate those who died. “There has been a violation of humanity in all of the Gaza community as a result of the aggression,” he told The Independent. 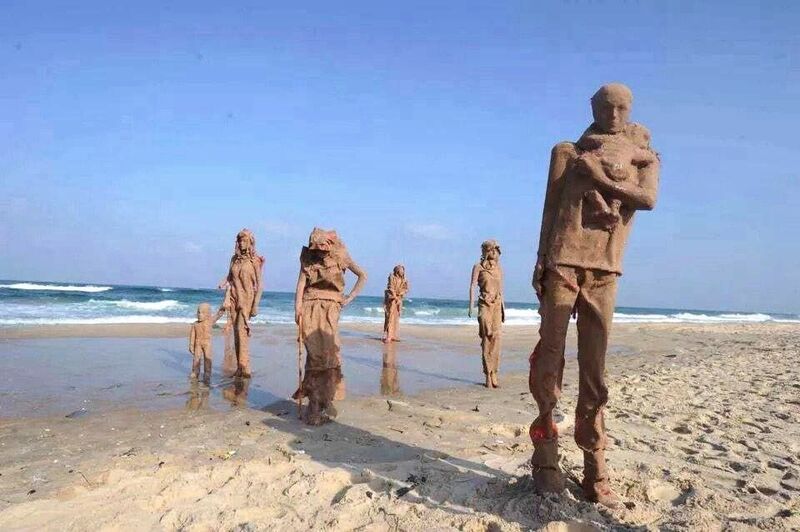 The sculputures were also placed on the beach in Gaza to symbolise the refugees fleeing to other countries illegally in a desperate attempt to escape the conflict. They were all created using mud and waste materials found in bombsites. During the latest attack on Gaza, at least 2,145 Palestinian were killed and 11,200 civilians injured, according to Palestinian Health Ministry figures. For more on Worn Out installation, see the article on Cairo Post and The Independent. 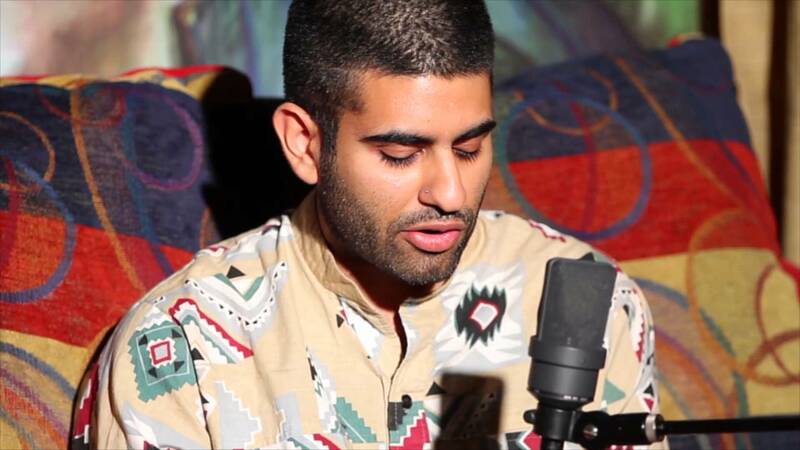 For more on Sabbah and his work, visit his official website. 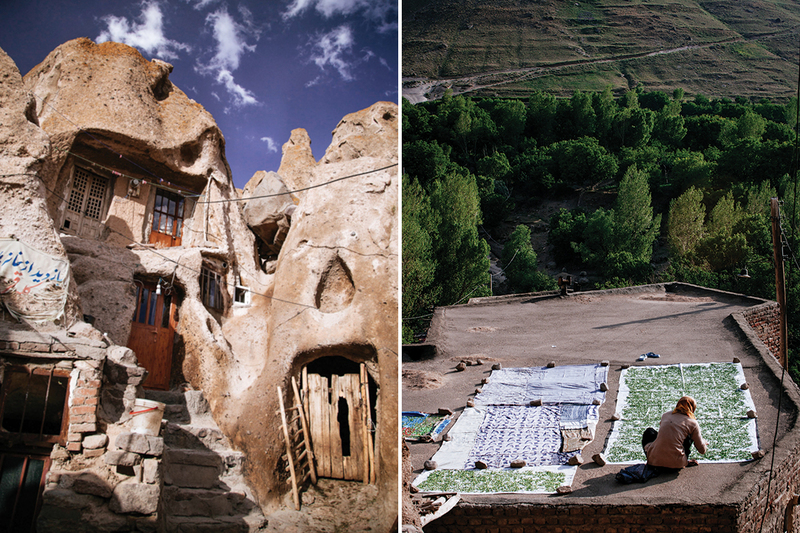 Kandovan, Iran: Living In A Cave. 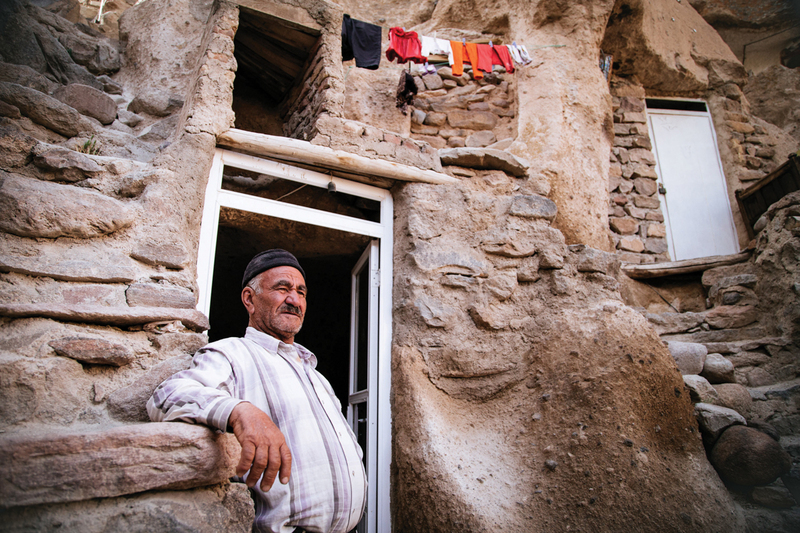 For more about this unique village and its residents, read the full article on Brownbook. I am finding this story lovely lovely (double lovely is intentional) and can’t help myself but to think about Plato’s Allegory of the Cave. 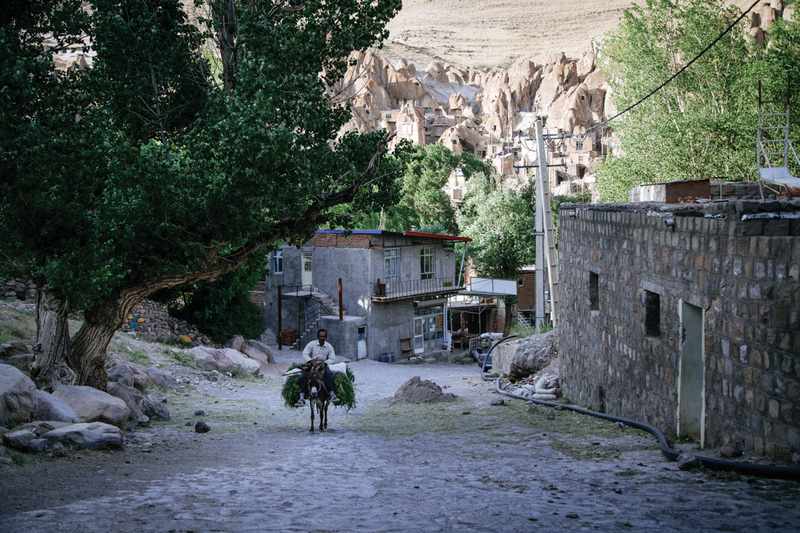 Connecting it with the Kandovan caves story, we could say that the residents of Kandovan might never find the freedom of the philosopher, but I am sure there is beauty to their caves and a freedom of its own. In this case, it just might be the opposite of Plato’s allegory – free from many torments of the global plague of capitalism , it is they, inside the caves – who can see the life limpidly. 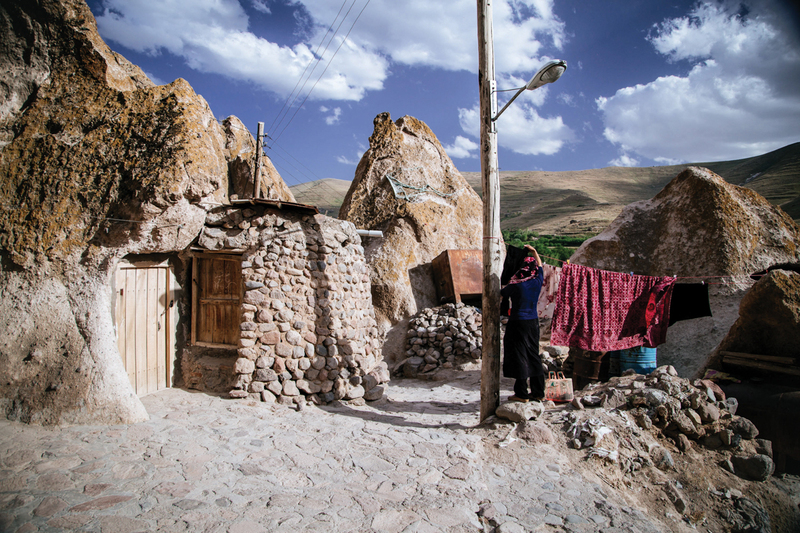 For more great photos of Kandovan, you can also visit Heritage Institute. 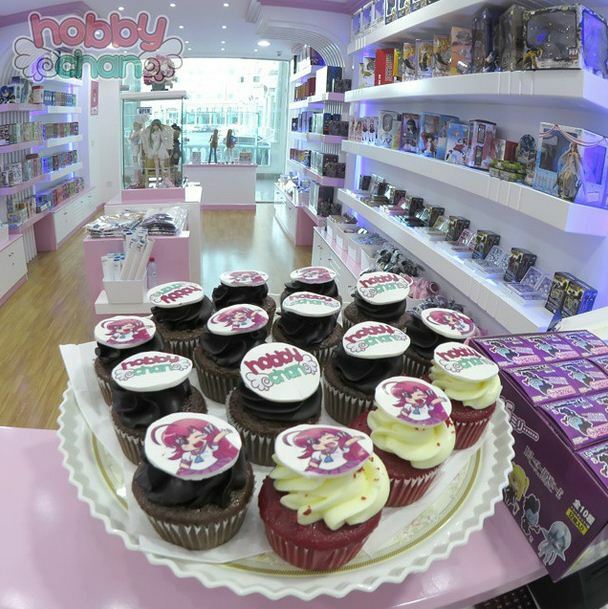 Qatar’s First Anime & Manga Toy Store. 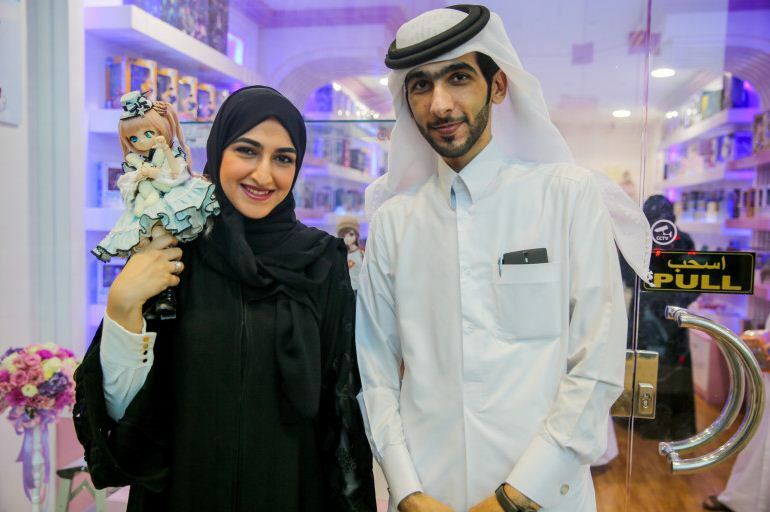 This month Doha News has a lovely story about a young Qatari couple Fatma Al-Jassim and Jassim Al-Mass who just opened Qatar’s first manga store, Hobby Chan. Chantelle D’Mello writes how the growing local subculture of anime aficionados is fueled in large part by dubbed Japanese cartoons that used to air on local television networks. Speaking to Doha News, Al-Mass said the shop is the result of around a year of planning and hard work. Al-Jassim added that it has also been tough to coax fans to come out of ‘hiding’: “Most Qataris who are into this, don’t say it out loud. The fans are there, but the are quiet. They need a place where they can meet others like them. They need a place they can call home, and we hope to provide that for them,” she said. The duo, both graphic designers, created the store’s design and layout themselves. “We wanted to bring an authentic Japanese feel here. We don’t just want to sell the products, but the experience too. 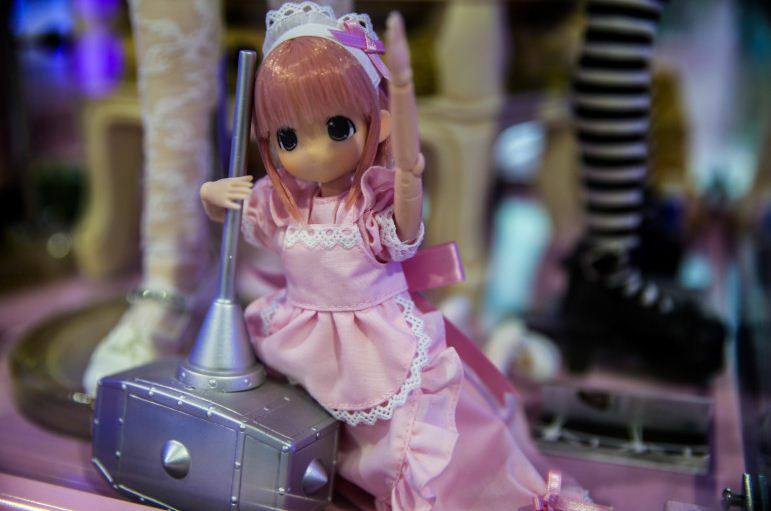 Everything is compact because toy stores in Japan are compact,” said Al- Mass. Currently, the store stocks merchandise from Japanese cartoons and games popular in the region, including One Piece, Naruto, Fairy Tail, Gintama, Attack on Titan and Sailor Moon. Read the full article by Chantelle D’Mello on Doha News. For more on the Hobby Chan store – visit their Instagram and their Twitter page.